In this ppt there are 50 slides which contain 49 action pictures. On the first slide a bouqe of flowers where each flower represents a verb. 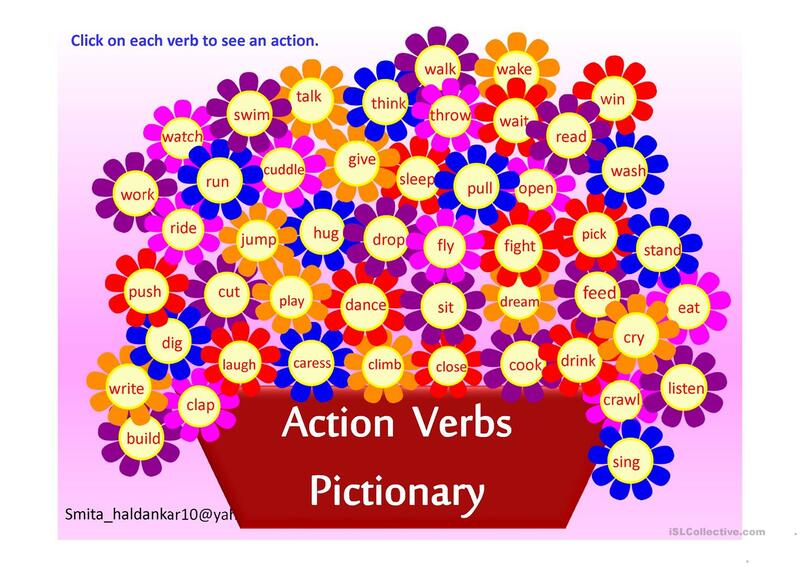 if you click on the verb you will get the action picture related to it. it is very useful to teach and learn Action Verb. I hope you will like it and useful to you. 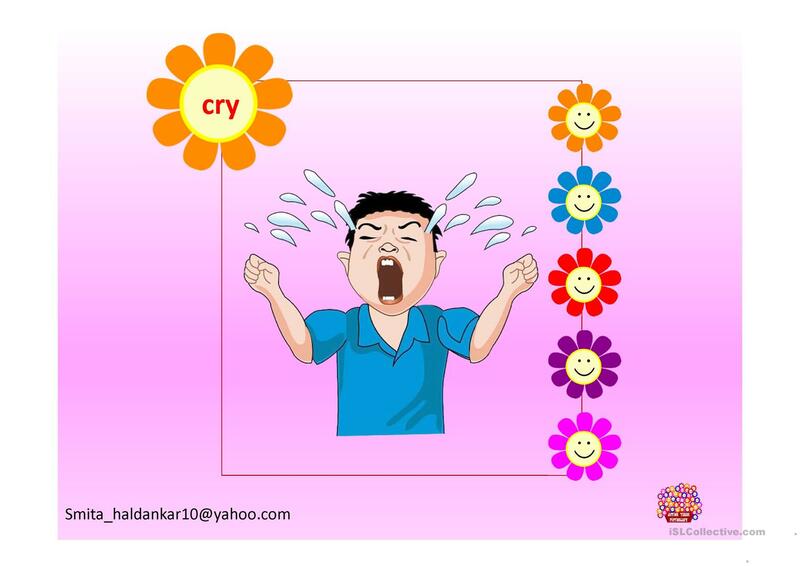 The present downloadable handout is meant for high school students, elementary school students and kindergartners and nursery school students at Beginner (pre-A1), Elementary (A1), Pre-intermediate (A2) and Intermediate (B1) level. It is great for teaching Verb patterns in English, and is excellent for developing your pupils' Reading skills. It is about the theme of Actions. The key is provided, too. I am a teacher of maths and science in India at Mumbai. 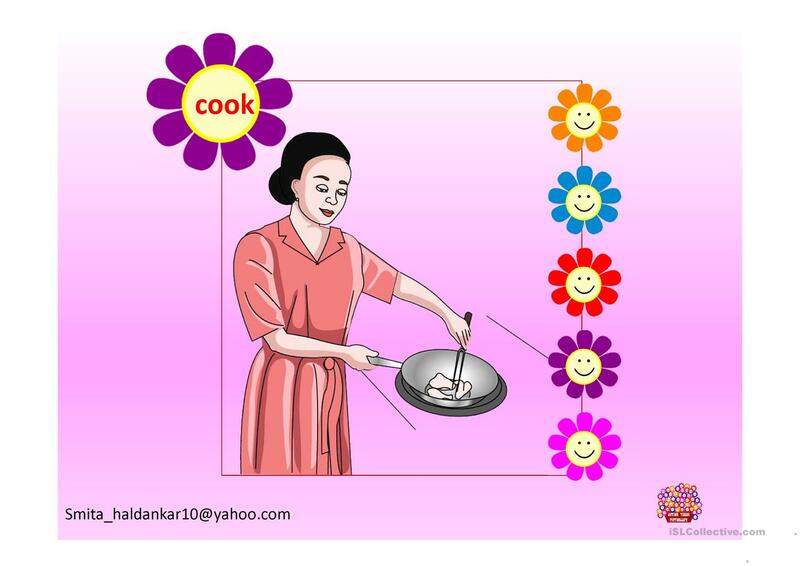 But I am also interested in English and likes to create worksheets and ppt.